Havana Moon captures the historic concert by The Rolling Stones in Havana, Cuba. Filmed at the end of the América Latina Olé Tour 2016 Mick Jagger, Keith Richards, Charlie Watts, and Ronnie Wood performed to over 1.2 million fans. Revive at Studio 5 is an immersive cinema experience like no other, bringing concerts back to life. 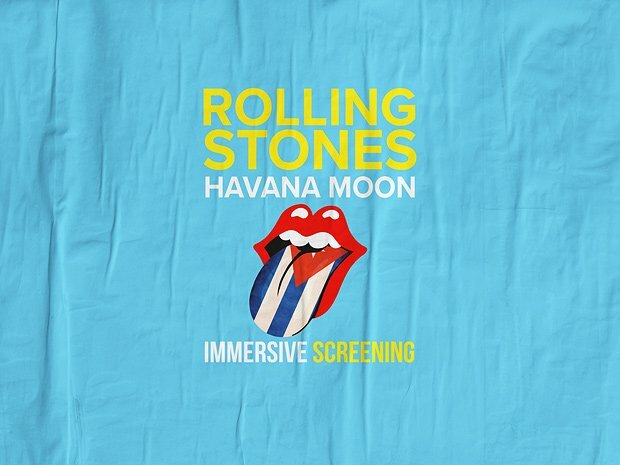 The latest installment will be the incredible Rolling Stones – Havana Moon Concert . Filmed in Cuba in front of an estimated 500,000+ people, the film captures rock royalty in all their glory. This immersive experience like no other, designed to make you feel like you were there, takes place at flagship East London venue Troxy – and will be screened in ultra-HD, with concert-standard sound and lighting.